In the latest of series, we feature Workforce Academy for Youth (WAY), based in San Diego County, California. Workforce Academy for Youth (WAY) mission is to give foster youth the opportunity to learn and gain work experience to better prepare for a county position (or equivalent job) and/or to encourage him or her to continue his or her education. The County of San Diego implemented WAY in September 2006 to provide workforce experience to those who are "aging out" of the foster care system and transitioning to self-sufficiency. WAY is a six-month paid internship program that provides employment, training and mentorship to emancipating foster youth age 17-21. The program unites youth with older adult Life Skill Coaches to support the development of work and life skills. In the latest of series, we feature New Life Village, based in Tampa FL. New Life Village is a unique inter-generational community conceived to encourage more people to adopt children who have been languishing in the foster care system. New Life Village offers a place to live and a community that the children can, at last, call “Home”. It offers eligible families a home and a supportive community with activities, programs, and services; it also offers eligible older adult resident volunteers a home to provide basic support for the families and to engage in activities within the village. Congrats to our 2015 Best Intergenerational Communities! Juan Williams offers welcoming remarks. Yesterday, we presented three communities with the 2015 MetLife Foundation/Generations United Best Intergenerational Communities Award. These communities – including Carlisle, MA; Greater Richmond Region, VA; and Greater Plymouth Area, WI – promote policies, programs, practices and services that increase cooperation, interaction and exchange between people of different generations. 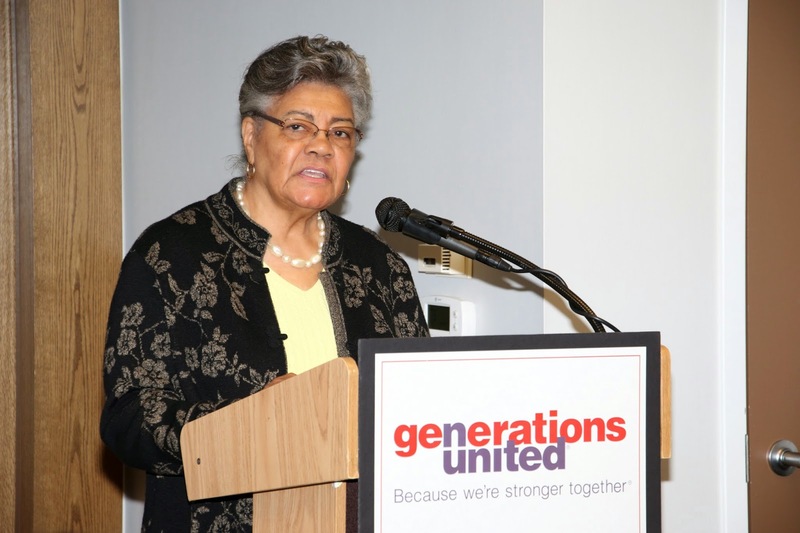 “They are among the most vibrant, livable communities you will find anywhere in the nation,” Donna Butts, executive director of Generations United, told a packed room at the Hall of States. Today, 8.4 million Americans live in such communities. This year’s honorees, combined, have a total of 1.2 million residents, which contributes to the total number of people living in age-friendly communities. Butts praised the honorees' persistence in becoming age-optimized. (a 2013 winner) sharing how the award impacted her community. That time, investment and commitment paid off for our past winners like Itta Bena, MS (2013 winner). Dennis White, CEO and president of MetLife Foundation, shared highlights from Maricopa County, AZ, and San Diego County, CA. For Maricopa County, the award validated their work and helped raised morale among its residents. San Diego County reported that the award got them the attention of their County Board of Supervisors who decided to start embracing intergenerational programming by voting to add four new intergenerational coordinators through their county. “We know the award has impacted the communities we’ve honored,” White said. The awards presentation took place on Capitol Hill and featured author and journalist Juan Williams and our Board member Jatrice Martel Gaither, executive vice president of External Affairs for Volunteers of America. During her remarks, 11-year-old Margot, of Carlisle, shared a touching story about helping older adults in her community. Drew Schweiger, 18, and his older adult buddy, Larry Bray, of Greater Plymouth Area, talked about the benefits of living in an age-friendly community. a challenged youth overcome various obstacles through problem-solving. As a mentor in the Greater Richmond Region’s Foster Grandparent Program, Doris Hairston sees first-hand the benefits of generations mixing it up. She recounted a story about helping a challenged youth overcame various obstacles through problem-solving. Hairston is fulfilled knowing she helps children like Charles. In the latest of series, we feature Generation Exchange, based in Kansas City, MO. Generation Exchange is an intergenerational storytelling (oral history) project designed to increase social interaction between youth and older adults. Generation Exchange also offers the opportunity to preserve and carry on local history to future generations. Through Generation Exchange, every older adult in the greater Kansas City region will have the opportunity to tell their story. The goal of this project is to create a collection of stories that document memories and experiences related to neighborhood life, historical events, and cultural experiences that shaped the lives of previous generations. In the latest of series, we feature mUsic Unites, based at Hebrew SeniorLife’s Jack Satter House in Revere, MA. mUsic Unites is a intergenerational music program that operates from the premise that music can be a common denominator that unites us all, no matter our ages or backgrounds. Each week, local high school students teach older adults how to play musical instruments (voice, piano, guitar, and drums). Program participants are developing meaningful relationships with music as the medium; the high school students have become teachers and the older adults are realizing that there is no such thing as being "too old" when it comes to learning something new and achieving one's goals. Being an age-friendly community is a way of life in Surprise, Arizona. It’s nearly 124,000 residents have embraced a life-style in which all ages work together to grow a community for all ages. A milestone was reached in 2008, when the City of Surprise and Benevilla, a human service non-profit organization, established the Community for All Ages (CFAA) partnership –which connected nonprofits, private businesses, academic institutions and city officials in a program to embrace the connections of the young and young-at-heart populations. The CFAA provides intergenerational social interactions across all ages, ethnicities, economic status and/or disabilities by improving communication and community awareness. “This partnership has connected toddlers with grandparents in healthy eating community gardening efforts and mind-stimulating games designed to support our elders with dementia, says Mayor Sharon Wolcott. While the CFAA was solidified at the start of the recession, the City of Surprise and its partnering agencies were determined to implement programs and projects to support growing a connection between generations. The City worked with its partners to coordinate events and vendors to complement one another and maximize resources. The city’s General Plan includes goals that support the continuation of its annual Senior Safety Day, where young volunteers install smoke detectors, fire extinguishers and conduct safety audits in the homes of older adults. Through a partnership with Benevilla and Rio Salado College’s Lifelong Learning program, the Community for All Ages partnership created an intergenerational campus in the city’s Historic Original Town Site in April 2009. The Original Town Site also hosted the 1st Annual Surprise Fiesta Grande event that attracted more than 20 vendors and 15,000-plus resident in celebration of the city’s Mexican heritage. "Our 75 guests from Nogales, Sonora, provided traditional folkloric and mariachi entertainment that got all residents dancing, no matter the age," Mayor Wolcott recalls. In Surprise, they measure success in more ways than dollars and cents. For Surprise Grants Administrator Janeen Gaskin, the community’s sweat equity and volunteer spirit is what sets them apart from other communities. Their sweat equity and volunteer spirit shines through their anti-graffiti project, which brought together volunteers from elementary schools and older adults to complete a 30-foot-wide mosaic tile mural in the community park. Over the last three years, Vice Mayor John Williams added three new youth leadership opportunities that include the Youth Civic Leader Program, which gives high school students a chance to sit on the dais as a youth representative during City Council work sessions and meetings. Since then, the city has launched a 26-member Surprise Youth Council that will work hand-in-hand with the City Council to recommend youth programs that will support the Council’s vision to create a community where young people grow up, work and raise their own families in Surprise. "When I first moved to Surprise, I was concerned that my opportunities as a young person in this community would be limited because Surprise has a large retirement population," recalls Yazmin Padilla, Surprise Youth Civic Leader and Youth Advisory Commission Chair. Through the Youth Civic Leader Program, Padilla traveled to Washington, D.C., where she met with her elected state officials and advocated for young people in legislative initiatives. The experience opened her eyes to how future leaders, such as herself, could make an impact. an impact in our community." Padilla was also part of a team that won an entrepreneurial scholarship from the city’s business incubator, the AZ TechCelerator, to create a locker rental business in a local charter school. While the City of Surprise is honored to be recognized as the 2015 National Finalist for the Best Intergenerational Communities Award, they’re proud of the fact that the Maricopa Association of Governments and Benevilla were the 2014 winners for their intergenerational efforts in Surprise. The City of Surprise, the Maricopa Association of Governments and Benevilla look forward to continuing to grow opportunities that bridge the age gap. After 12 years of living abroad, Sara Link and her husband moved back to Greater Richmond Region to be near her parents and childhood friends in 2010. With the community’s commitment of connecting people across generations, Link is convinced her family made the right decision. 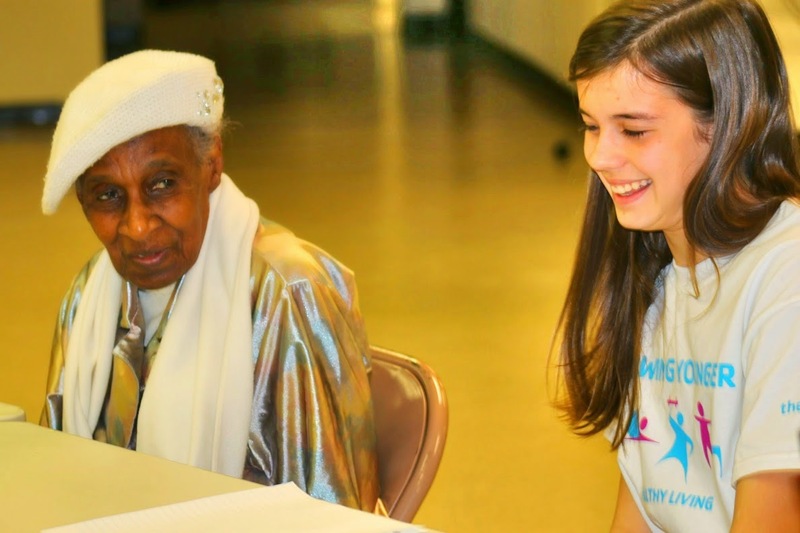 With over 40 local intergenerational programs, festivals, events and leisure activities bringing together its 1 million-plus residents of all ages, it’s obvious Greater Richmond Region thrives off meaningful connections between older adults and youth. With all ages being an integral and valued part of the setting, they couldn’t wait to share their community pride by applying for the 2015 Best Intergenerational Communities Awards. “I knew Richmond had a strong chance of winning,” said Sara Link, director of Greater Richmond Age Wave, a collaborative that includes philanthropists, local government, businesses, nonprofits and academia working together to maximize resources for all ages. Link’s Age Wave manages CATCH Healthy Habits, a Generations United 2015 Program of Distinction re-designee that was first honored in 2012. Through this evidence-based program – hosted by Senior Connections, The Capital Area Agency on Aging and Virginia Commonwealth University Department of Gerontology – older adult volunteers teach K-5 students the value of healthy eating and physical activity. 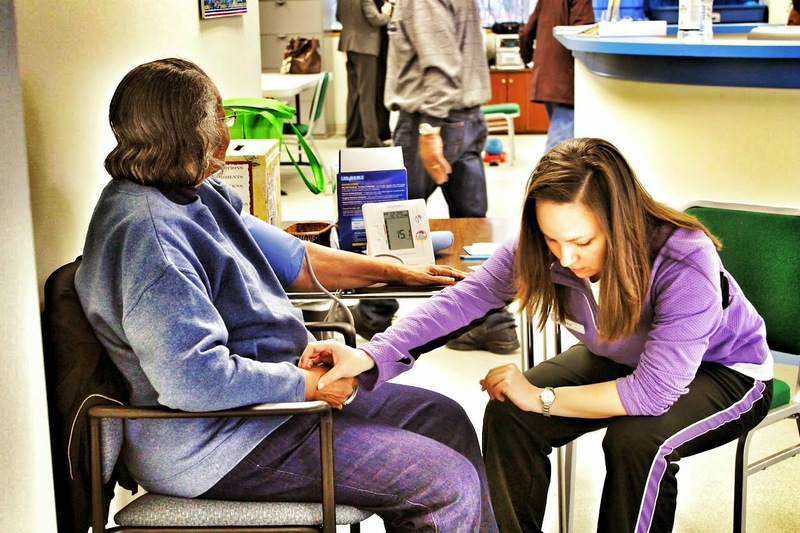 Programs like CATCH Healthy Habits stem from Greater Richmond Region’s intergenerational roots, which go back to 1984, when Westminster Canterbury Richmond became an intergenerational shared site after including a Child Development Center with its Continuing Care Retirement Community. Today, Westminster Canterbury Richmond’s intergenerational programs bring together children and older adults for daily story time and annual events/performances. A community jewel is the James River Park System, 600 protected acres of shoreline and river islands running through the community. The River System functions as an outdoor classroom for all ages to learn and appreciate Greater Richmond Region’s history while enjoying mountain biking, fishing and kayaking. Youth and older adults also engage through the YMCA of Greater Richmond’s Growing Younger program, an initiative of United Way of Greater Richmond & Petersburg (GRP) in partnership with Friendship Cafes. “Elders in this program are actively engaged in physical exercise and projects with youth, as well as the arts,” said Lynn H. Pharr, United Way-GRP chief executive officer. In addition to funding from United Way-GRP, Greater Richmond Region’s intergenerational programs receive nearly $1 million in combined support from by county and city governments as well as public and private foundations. Grandparent Program, Doris Hairston sees first-hand how those investments contribute to the community’s intergenerational success stories. She and nearly 70 other older adults serve as mentors, tutors and caregivers for Greater Richmond Region’s children and youth with special needs. 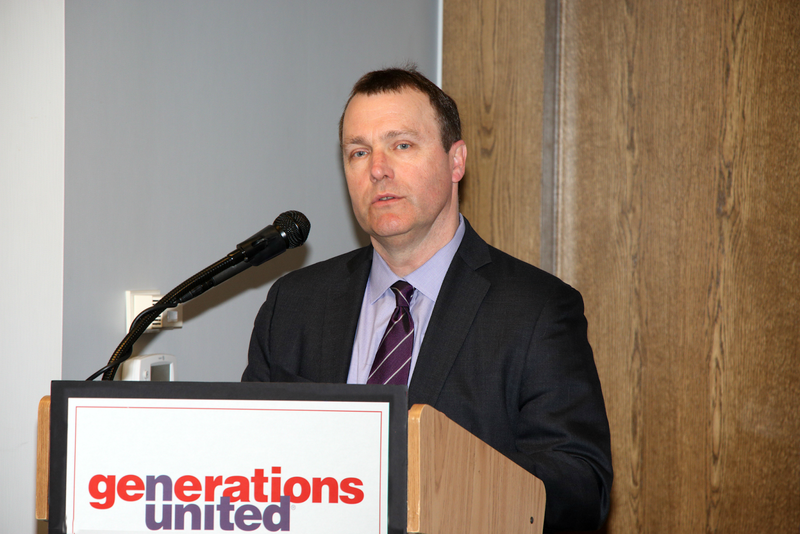 The Greater Richmond Region is still feeling the excitement from a Generations United announcement that they are a 2015 Best Intergenerational Communities Award-winner. “We will continue celebrating with Chesterfield County and the City of Richmond as we present a flag and road sign to each locality to have on display,” said Sara Link, who shared the news with various media outlets and through social media. Sadie Rubin, director of the intergenerational arts program PALETTE, hopes the award will attract new funding. Sara Morris, coordinator of CATCH Healthy Habits and Greater Richmond Age Wave, is still ecstatic about the award.